How do I get inspiration? Good question. When Im sat here in my chair at my desk, staring into the big white pages, what exactly am I thinking, and what helps me get inspired? 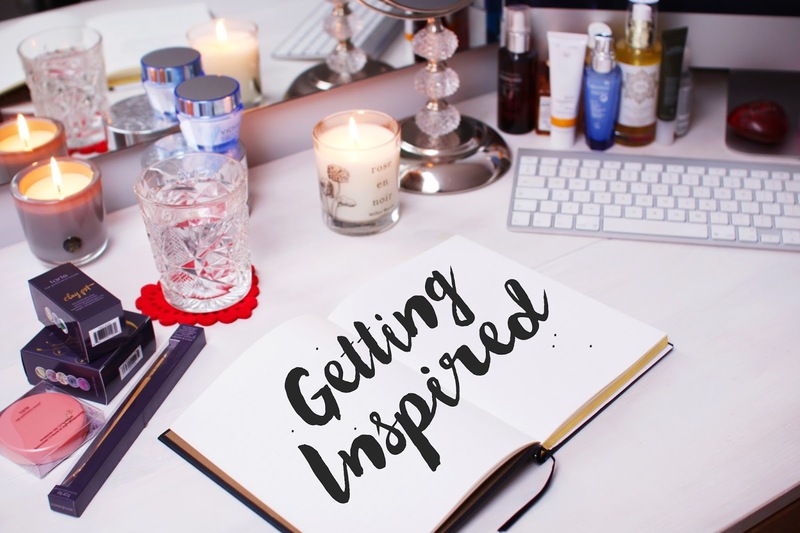 Here are a few tips for keeping yourself motivated and inspired to write. Simple as. Dont sit around in your pyjamas all day, or your onesie (should take this advice right now). Get up out of bed, get yourself dressed and ready for the day, and then get writing. Your mind will begin working faster and more effectively, as youll be in work mode, rather than *I could just take a nap right now* mode. I cannot work in mess. It just can’t happen. Clean up your desk, or clean your room, put everything away and just Feng Shui your life for the day. Your mind will feel more relaxed and therefore more willing to come up with new ideas. If you clean at the start of the day, you have no other way of procrastinating with cleaning later on, so you will be inclined to just sit and work. I’ll be honest, ever since starting a blog and writing it every single day, I barely have time to read my favourite blogs. Which is a huge shame, as they are what got me inspired in the first place. I always find that when I go back, and spend a few hours reading my favourite blogs, I get massive amounts of inspiration, or just remember something that I have done before, that I could do again. I get the motivation bug, and quite often can’t stop writing for a while. Too many ideas and too little time. I sort of mentioned this in the last point, but going back through your own archives and stats is also extremely useful. You might have written a post last year, that is your most popular post, ever. Is there a way of replicating that style of blog post in an updated version? Or just follow its format, or layout, or style in some way? Let your stats help you find what works and what doesnt work so well. It’s always worthwhile asking your followers, on your blog or on social, what they love to read. It might be something you’ve never thought about writing before, or perhaps they can give you an insight into what your best performing posts are. You might as well give your readers what they would love to read! Lists are your best friend. They remind you of everything you thought about, that time, on the bus, or on the tube, that you forget when you fall asleep. I have a notepad, granted I dont use it often, but my notepad keeps some pretty cool lists inside, that I like to delve back into when I need a kick up the backside. I have made lists of what sort of posts I want to be posting per month, new video ideas, new concepts for blog posts etc etc. Even this morning I had a peek in that notebook and reminded myself of a new blog post to write. For a lot of bloggers, blog posts don’t come easily, without the images. I spend full days photographing all of my new products for review, setting up the lighting, placing the products in groups and photographing every possible angle. I find that shooting all at the same time, then editing and then uploading can leave you with a heap of new content, that just needs writing. Then every day, I’ll go back and choose what I’m interested in writing about that day, and voila. Post is done. What’s trending? What is going on in the world? And what do people care about right now? Even if it’s a debate on twitter about the state of blogging, PR relationships or the rise of the web celeb. If you have something to say about it, then say it. You might find people will enjoy your opinion, and you’re more likely to start showing up in feeds for the topic in question. Youve got your photos, and your lists, and your new inspiration. Get yourself focused. In your tidy room, at your tidy desk, in your new pair of jeans and cool chilled white tee. Maybe you’ve applied your makeup so you’re ready for the day, or maybe you are having a day off. But either way, get yourself a glass of water, and your notepad and just start writing. Stop procrastinating. Dont go and chat with your hubby, boyfriend or best mate in the other room. Take a second, ask yourself what you hope to accomplish today and realise that only you can make your work what it is. Open a new page, set your fingertips on your keyboard. And get ready. Set. Go!